I've discovered something pretty cool - I may be the last person on earth to have discovered it, but I'll tell you about it anyway... It's a product called Pearl Pen. I don't remember what I was really looking for, but this caught my attention. I have to say, I am really impressed with how it works! No air bubbles (so far) and it really stays in pearl form - no flattening at all! I got mine from Stuff4Painting. I only got cream and black. Now I'm going back for more! 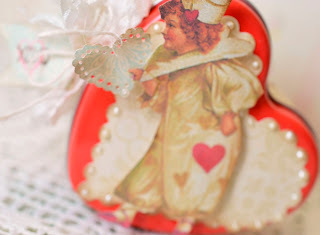 This darling vintage image is from Nicecrane Designs. You can also see the pearls made with the pearl pen. I bought a bunch of these red heart tins years ago. I've used them several times, but felt like they needed to be covered. But, this time I felt like this little cutie matched the red perfectly. Also, instead of placing it bottom down, I decided to design it tilted on its side. I wrapped the bottom with a couple rows of a punched border die. 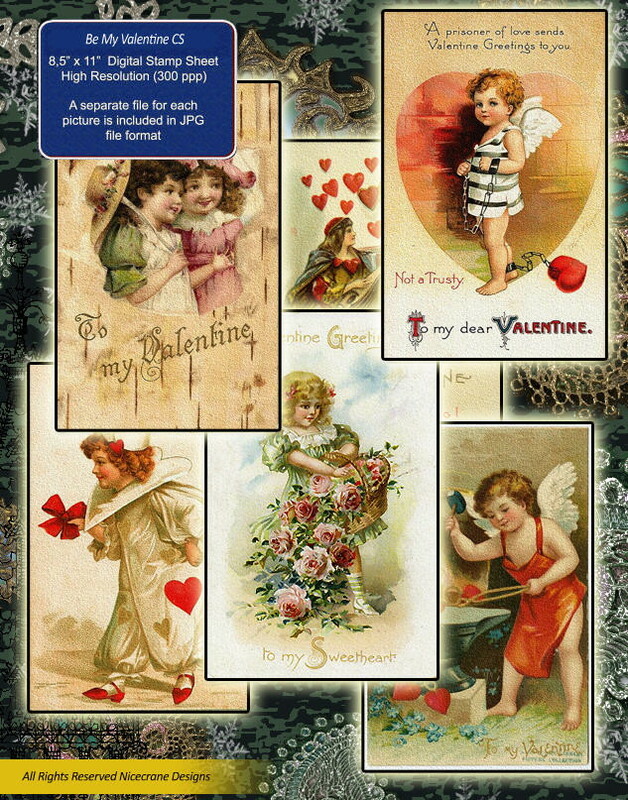 Ignacio has quite a few wonderful Valentine images to choose from. This is just one of the sets. 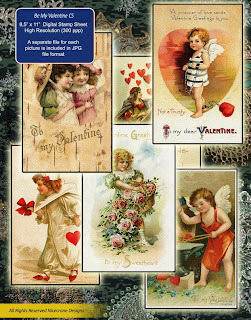 Check out Nicecrane Designs for Valentine images here. And check out the blog for more pretty projects. Have a wonderful week! Wowwwww Lori,, what a amazing and so different creation.....you did with my Valentie pic,,,,,LOVE IT,,,,,I love your red box,,, it is stunning and these special pearls you are telling sound great,,,,,,,it is the perfect gift for lovers,,,,,very well done Lori,,,,,,you are rock. This is darling. I love the vintage feel and your use of the pearls. It's so elegant!! A magnificent combination of a pretty image and lovely box Lori, truly lovely for Valentine's day! What a darling tin! LOVE it!! This is so sweet. And the pearl pen add the perfect touch. Terrific job with the Nicecrane Design images. 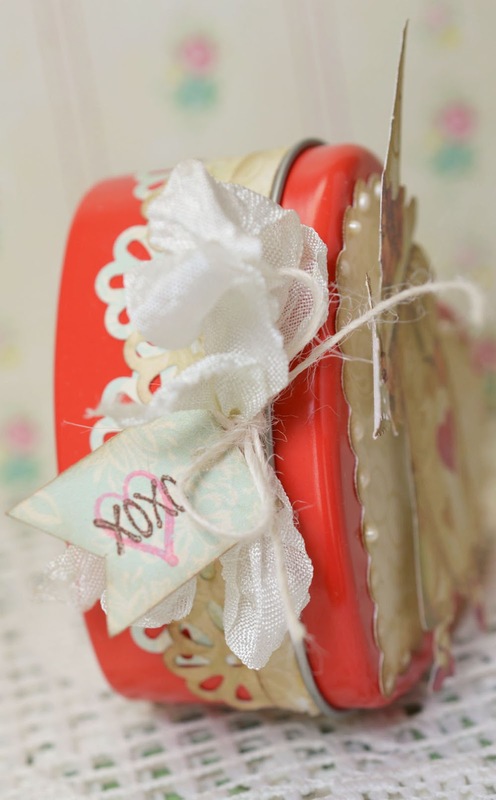 Beautiful, love your sweet tin decorated on the side! It shows off the wonderful image and all those lovely embellishments. Thanks for linking up with MIM this week. 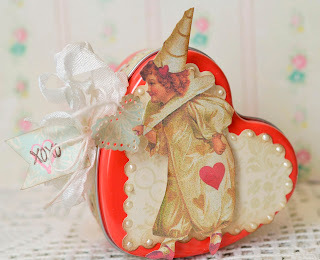 Such a darling Valentine tin. This certainly would make someone very happy! Your pearls really look good!